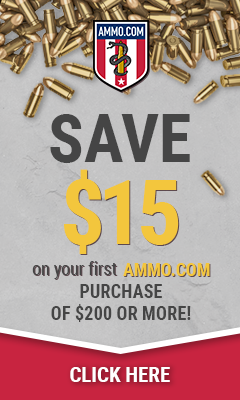 A few weeks back we were talking with our friends at Ammoforsale.com about getting some ammo for our reviews. They were happy to help us out with Prvi Partizan 5.56x45mm rounds. The ammo shot a little dirty which I expected out of PPU as it is not match grade ammo. PPU is made in Serbia and is fairly close to milspec US ammo. The SU-16CA, the ZA-15 and the SIG556 all shot without any problems. A few reloaders who follow us have told us they have never had problems with reloading the PPU Brass. From the 100 yd. bench with the ZA-15 I was finding I was getting groupings of about 1/2 inch (12.7mm) groups. The ProMag and Lancer used this ammo in the reviews. The ammo is great range ammo. The ammo never had any problems so we plan to continue using PPU for reviews when we can get our hands on it. I would like to thank Ammoforsale.com for shipping us out this ammo for us to review. Their website is easy to navigate and find what you are looking for. They have a friendly group of people working for them and I am always happy to do business with them. 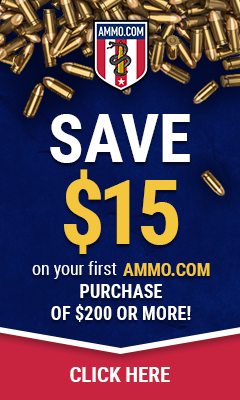 Check them out for all great deals on ammo.